You spend a lot of time scheduling and rescheduling jobs, changing assignments and planning your weeks. 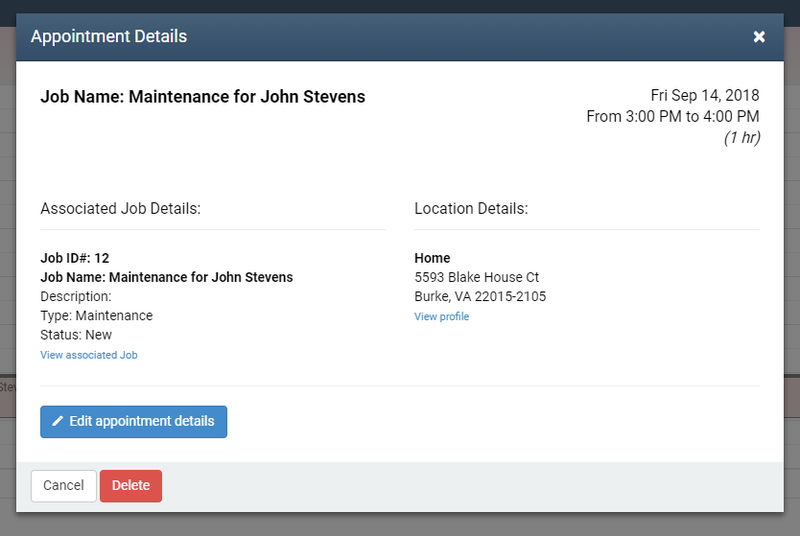 That’s why we’ve added these improvements to our Calendar to help streamline your workload and keep your customers happy. Check it out below! 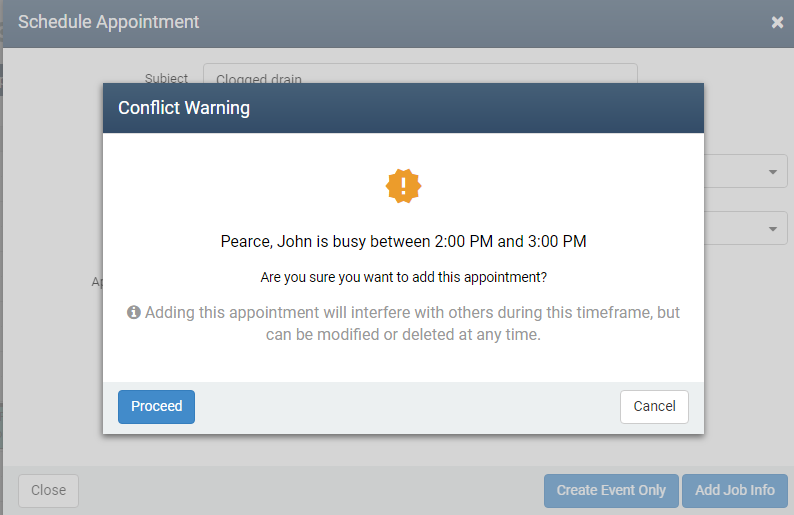 To bring up this quick-look window, just click anywhere on the appointment block and you’ll see details associated with that particular job and appointment. Please note: clicking on the text in the appointment will take you directly to the job, which is helpful if you want to edit a job. Getting better visibility over your team’s schedules and reducing overbooking is critical. So now if you attempt to schedule an appointment for a tech that is already booked at that time, you’ll receive a convenient warning prompt. On it, you’ll have the choice whether to cancel the booking or proceed. Now you can maximize your schedule without overbooking your techs, which saves you headaches and protects your reputation with customers.